'watchers' by Pam B - DPC Prints! 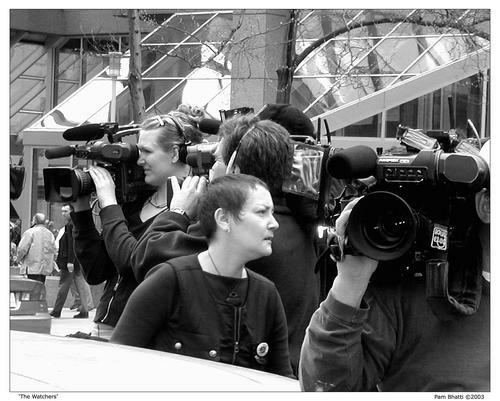 Media coverage of a protest. The press seemed to outnumber the protestors. Text reads "'The Watchers' Pam Bhatti ©2003"